Innisfree Eco Beauty Tool Pack Brush is a brush you need to spread your (mask off/peel off) mask over face without creating a mess in your hands. 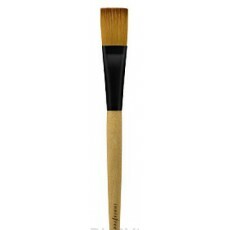 It is a sturdy brush made of wood with a soft bristle that glides smoothly in your skin. Mask spreads evenly and a lot easier! Instead of scooping your pack mask with your fingers, use this brush instead. Apply mask evenly by spreading it smoothly over face. After use, wash and dry the brush properly before storing.